Dr Gavin Alexander leads a group of lecturers from the Faculty of English who will read aloud Shakespeare’s complete poetry to mark the 450th anniversary of his birth. Shakespeare’s plays are performed every day throughout the world. His poems are read everywhere too; but usually in silence. We aim to bring Shakespeare’s non-dramatic verse to audible life in a day of readings of all of his poems and songs, performed in the Drama Studio of the Faculty of English, and broadcast live online. Using our knowledge as scholars and interpreters of English Renaissance literature, and working in collaboration with visual artists and theatre practitioners, we have developed different modes of performance for each work (using images, spatial arrangement, and lighting), in order to help listeners attend to the thought, emotions, and meanings of Shakespeare’s extraordinary poetry. 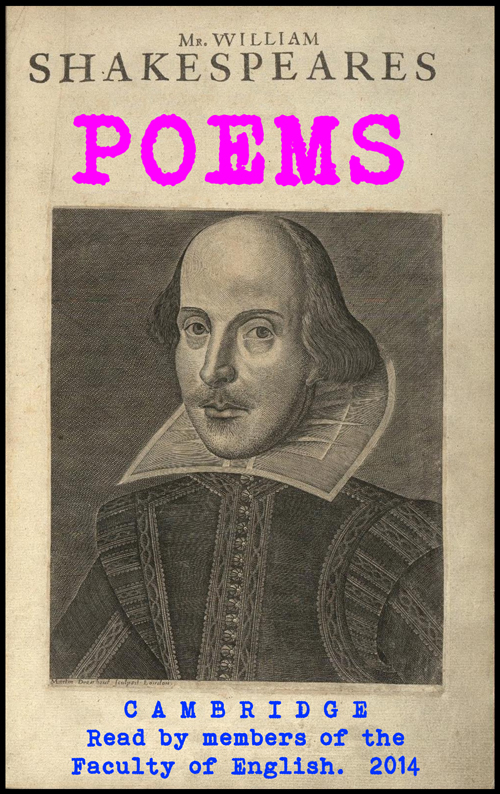 His verse spans every mood and shade of love in the Sonnets, comedy in Venus and Adonis, tragedy in Lucrece, and the joyous, poignant, lyrical beauty of the songs.